When an animal rescue team came across a couple of horses tied, abandoned and wilting under the hot Louisiana sun, it must have seemed like a triumph. They had gotten to the horses, left behind in the scramble to flee parts of the flood-wracked state, just in time. But it didn't take long for members of Guardians of Rescue to realize that finding these forlorn animals was only the beginning. Where do they take them? Which shelter or sanctuary - already crammed beyond capacity - had room for a couple of horses? Much like the Louisiana flood itself, it's easy to chalk up the heroics in the first few days of America's worst disaster since Hurricane Sandy as a victory. And move on. 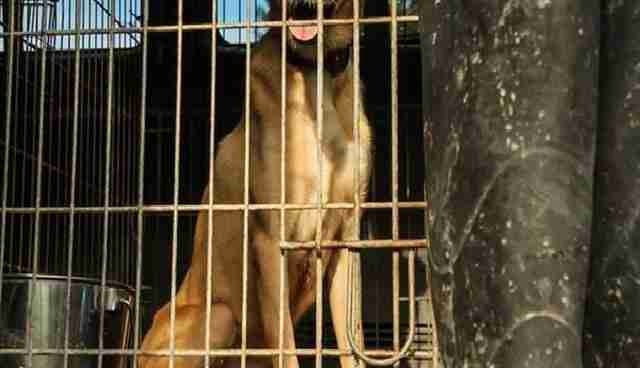 Many of the people who put their lives in danger to save thousands of animals did just that. 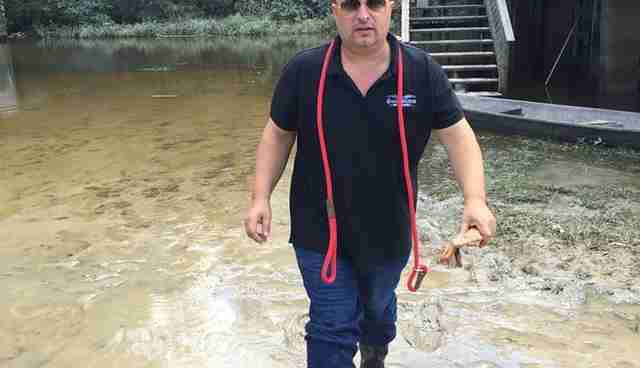 From his vantage on the sopping ground of the the Baton Rouge area, Robert Misseri has seen the rescue effort recede along with the high waters. And it couldn't come at a worse time. "Now that the floods have receded, the aftermath is 10 times worse," Misseri, who founded Guardians of Rescue in 2010, tells The Dodo. "It is total insanity." 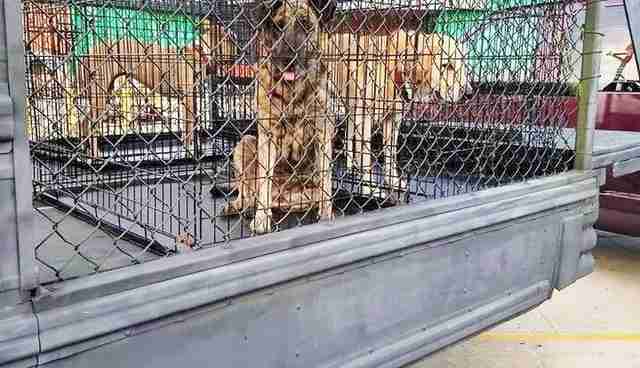 Instead, despite rescuing countless abandoned animals, Misseri's team is being met, time and time again, by the same sad chorus at animal shelters: No more room. The group did manage to find a temporary home for the pair of dehydrated horses. But as more and more animals appear - Misseri says many terrified pets are only emerging from hiding now - the problem of housing them becomes increasingly dire. 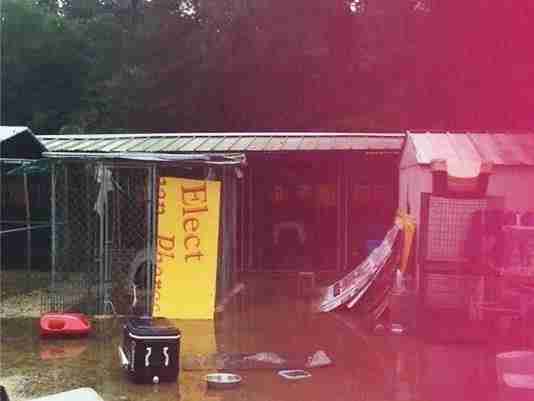 Especially since many animal shelters in the region were destroyed in the deluge. "A challenge we are dealing with is that all of these animal shelters are full," Misseri explains. 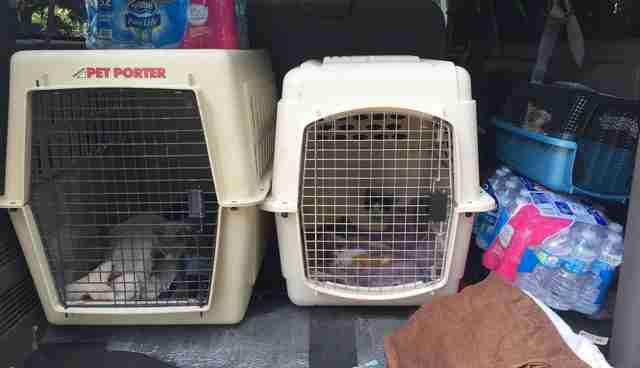 "We are out in the field trying to get animals and there are no place to put them. "We picked up twenty-something animals yesterday, but there is no place to go." Of course, it would help if more owners stepped forward to claim their pets. But Misseri says the disaster hasn't yet reached that point. In fact, he sees the overall rescue in several distinct phases. The first was the immediate response to fast-rising waters, which involved "anybody who could get animals to high ground or break them off of chains." Then came the water rescue, which saw people patrolling neighborhoods that had suddenly turned into canals looking for animals in the water or clinging to debris. The next phase, where Misseri says the effort is at now, is crucial. 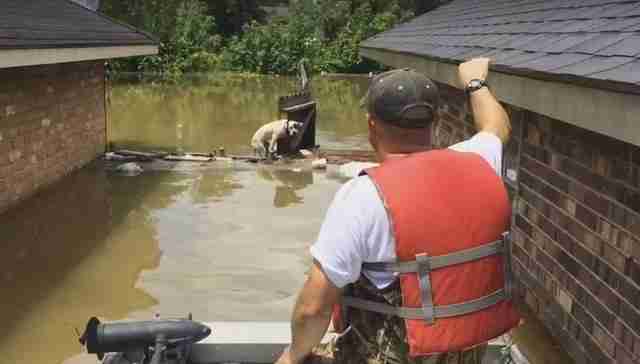 The floodwaters have receded, revealing the full extent of the catastrophe - and the toll it's taken not only on the people who lived in these neighborhoods, but also their pets. Parishes in the Baton Rouge area appear like ghost towns, abandoned by humans but still, in many cases, home to dogs who had been left chained on dry islands. Or on rooftops. All of them need immediate help. "We knew the aftermath was going to be complicated and many animals would be languishing," Misseri says. "People don't realize this. They think, OK, whatever is saved was saved in the flood. Whatever dies, dies.' "But there are animals that need to be rescued this second. People forget about that." And even when you find animals, where do you take them? Although Misseri says every available space is spoken for, his group is still finding tentative homes for them. But the wave of four-legged refugees shows no sign of abating. "This is when you see dogs coming out of hiding and from the high points. It is way worse than it was," Misseri says. "If they are left, these animals will suffer and die." And the people who are still spending every sleepless moment saving animals in Louisiana are not about to let that happen. But they will need another kind of hero. Think that could be you? 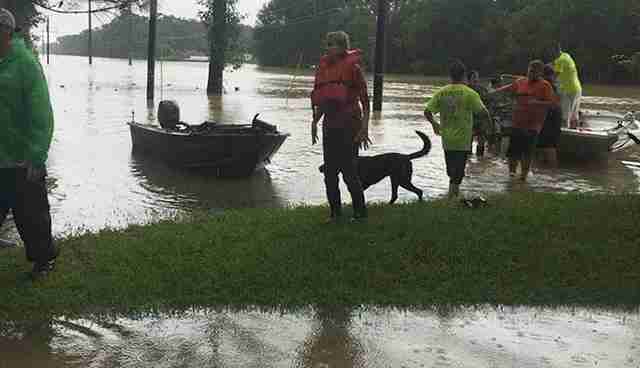 Consider making a donation of supplies or money to Guardians of Rescue through its Louisiana Rescue page. 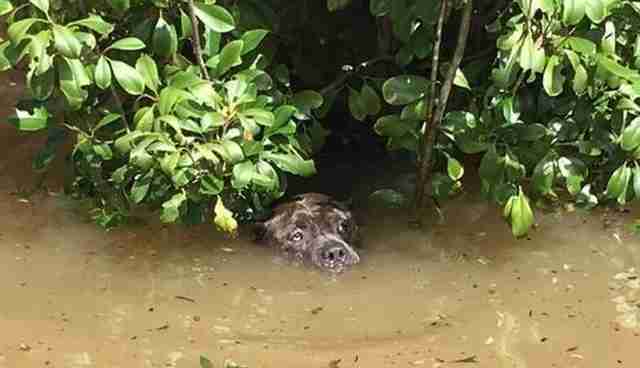 And if you know of any animal in the Baton Rouge area who needs to be rescued, contact the group at info@guardiansofrescue.org or call 888-287-3864.